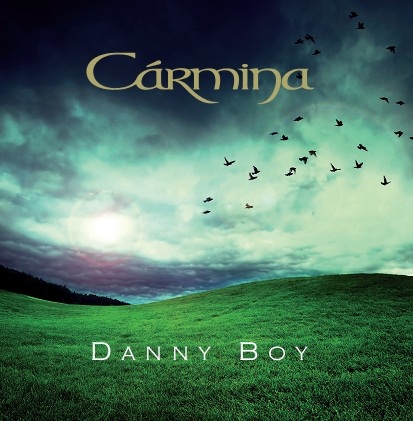 2013 marks the centenary of the first publication of the song ‘Danny Boy’, and Carmina will be releasing their new recording of the song on St Patrick’s Day (17th March) on Peter Gabriel's Real World label. The band’s version of the song was commissioned by Phil Weatherly, the great-nephew of Frederic E. Weatherly, the Portishead-born lawyer who wrote the words and set them to a traditional Irish air. Phil, along with Rob and Pippa, appeared in a special feature about the song and its West-country writer on BBC1’s Inside Out West programme, screened at 7.30pm on Monday 28th January. Phil and his wife Penny first met Rob and Pippa when they were touring in the South East of England, and since then have become loyal supporters of the band and close friends. They were very moved when they first heard Carmina's version of Danny Boy and subsequently asked Rob and Pippa to perform the song at the unveiling in 2003 of the plaque in Portishead which commemorates Fred Weatherly's birthplace. With their blessing and support the band recorded their version of the song during a tour of Ireland. It was recorded in the atmospheric setting of the Castalia Hall - the purpose-built venue of the Ballytobin Camphill Community, Co. Kilkenny. This was chosen for its beautiful ambience, both earthy and spiritual, its fine acoustics, and the fact that it houses a Steinway grand piano! Carmina's version of the song, arranged by Rob, features the exquisite piano-playing of London-based jazz star Geoff Castle; the haunting uilleann pipes of Diarmaid Moynihan, one of Ireland's best-known pipers; the double bass of Irish virtuoso James Blennerhassett and the tenor saxophone of ex-Loose Tubes member Julian Nicholas, as well as Rob's acoustic guitar and Pippa's vocals. They will be performing a special concert later this year to mark the release of the recording and hope to participate in Portishead town’s celebration of the song. Pippa says: "We have always loved this song for its beauty and simplicity - the power of the melody and the mysterious and heart-breaking quality of the lyrics. It encapsulates the wonderfully romantic notion of a love which reaches beyond the grave. When I sing it I remember the people I've lost and I feel closer to them. There's a beautifully earthy quality to the words, too, with their evocation of the passing seasons, the flowers dying, and the coming of the winter snows. There's also something very special for us in the way that the song crosses musical and geographical boundaries, with its Irish tune and English words, much like the band itself. Rob and I were born in England but both had Irish antecedents, and the band features musicians from both sides of the Irish Sea. It's a difficult song to approach, given its fame and the many different versions which have appeared since it was first published, but we tried to play it as we felt it - with strong feeling but also some delicacy and reserve. We wanted to let the words and melody speak for themselves rather than overstating the emotion in a grand, dramatic performance. We hope that people will hear that in the recording." Rob says: "There are many reasons for the enduring appeal of 'Danny Boy'. 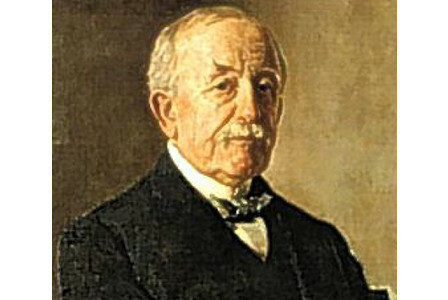 Fred Weatherly always asserted that it wasn't an overtly religious song, and yet universally it strikes a deeply spiritual chord. There is of course the tune itself, called 'The Derry Air', which was collected in the 19th century, but which is probably much older. This follows a simple 2-part structure, like thousands of Irish dance tunes, but it's the development of the second part, prepared for by the first and rising to that sudden distinctive high note, which has the effect of lifting the spirit and aspiration of everyone who hears it. Then there are the words, which are mysterious, and like all good ballads, very sparing. Is Danny dead or alive? Is the speaker? Is this a call from beyond the grave? Is this hope or despair? 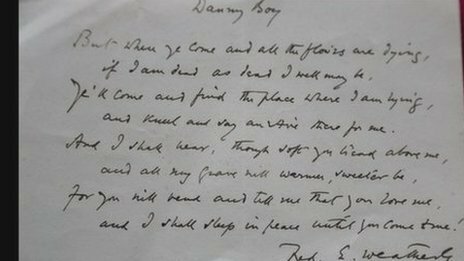 Again, like all good ballads, the song's power lies in its implication, 'the condensed and hinted order', as Rossetti once said of balladry. The result is that 'Danny Boy' becomes infinitely applicable and satisfying, whatever the needs, fears or hopes of the individual who hears it. It's simply a great song, like 'Yesterday' or 'Moon River', and its greatness lies in that simplicity, especially the simplicity of the lyrics, written by the man whose talent for words we're celebrating in 2013." Carmina have released five albums to date, two produced by Irish music legend Dónal Lunny, and have toured all over the world with their blend of Celtic themes and jazz improvisation. They have appeared at festivals such as Glastonbury , Edinburgh, Labadoux, Folkwoods, Zwolle, Sydney St Patrick’s Day Parade, Madrid Jazz, Cork Jazz, Cork Folk, and the World Fleadh. They will be touring in the UK and Ireland during 2013.